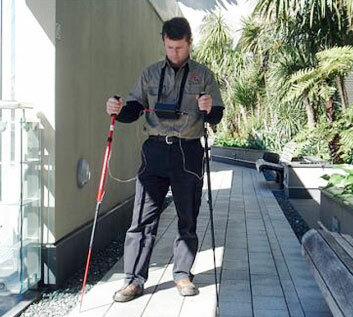 VIC or “Vaccum Instrument Corporation” is a leading corporation in the manufacturing of leakage detectors and testers. Vic Leak Detection develops products for various industries like medical, semiconductor, and nuclear. It has been over 50 years since it first started, and Vic Leak Detection Company is still successfully providing the best support and products for gas handling, and gas detection to the industries. It is the prestige and quality maintenance efforts of the company that makes Vic Leak Detection Corporation one of the most reliable companies in the market. From auto parts to space suits developing companies, VIC is providing support to every company. Making use of different kinds of techniques like mass flow, differential measure and pressure decay, VIC Leak Detection Corporation provides support according to the product size and product price. VIC Leak Detection is efficient in providing the products which are custom-tailored for a company; therefore they get what they need. In order to provide the best service and for the development of outstanding products, VIC leaves no effort behind and makes sure to carry out enough product research and testing. From carrying on a research project in helium mass spectrometry, to participating with Argonne National Laboratory and the University of Michigan, VIC Leak Detection has shown no leniency. VIC also participates in the development of the projects under the NCMS (National Center for Manufacturing Science) including the Photo Acoustic Technology and Sound Sensing Technique. Advanced leak metrology, air leak detection and industrial leak detection are the subdivisions of the VIC Leak Detection Company that provides support and applications for every industry. All these divisions collectively use their experience and technologies to achieve the best results and superb quality output. Until now, more than a billion products have been tested by using the VIC Corporation’s applications; these products range from the electronic components and devices to nuclear plant products. VIC has the best application based testing experts from around the world, which are not only experienced but also come up with innovative ideas. Advanced Leak Metrology – VIC develops and designs the leak detection devices that are known for their accuracy. The extremely potent sensitiveness of the devices makes them highly reliable and trustworthy. VIC Leak Detection Company has marked its position in the industry by developing excellent leak testers. Industrial Leak Detection – For large and heavy industry applications, VIC Leak Detection has developed highly sensitive leak detectors and devices, which are capable of detecting even the faintest leaks. The company also manufactures both automatic and semi-automatic turnkey leak-test devices. Air Leak Testing– For the air leak testing and detection, VIC develops and designs exceptional quality air leak detectors, flow meters and OEM leak detectors. These devices and equipment are extremely fast and efficient in providing accurate results. Gas Handling – VIC gas handling systems are designed keeping in mind the effectiveness of the gas recovery systems and the preciseness. They include the automated, smart charge backfill systems and turnkey leakage solutions. All in all, VIC Leak Detection offers the comprehensive leak-test solutions with the help of fully integrated leak-test systems.